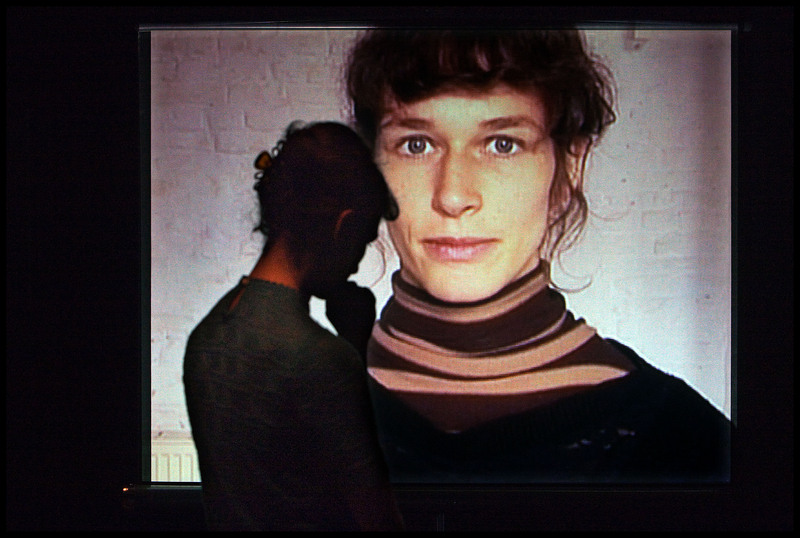 In Me and My Stranger the belgium performer and theatre-maker Sarah Vanhee is exploring the notion of the stranger. Her lecture performance is strongly related to the French philosopher Jean-Luc Nancy and his novel L’intrus. In one hour Vanhee presents a collage of film excerpts, street interviews and recitations of different texts that are somehow connected with the phenomenon. She for instance refers to the German political theorist Hannah Arendt, shows parts of Pasolini’s film Teorema and parts of Claire Denis’ documentary about Jean-Luc Nancy called Vers Nancy. Vanhee also traces an ark to the current political situation in Belgium and appeals to the highly problematic issue of immigration. Moreover she includes scientific, microbiological descriptions in her lecture by talking about the human immune system being assaulted by something strange. Me and my stranger belongs to that particular kind of performances that is called « lecture performances». During one hour, Sarah Vanhee is bringing to the stage her various thoughts on the very topic of strangerness which she refers as something that fascinates her. The whole lecture tries to link the very political understanding of what is usually refered to when talking about a stranger (politically speaking) and the very presence of strangerness in a biological, organic perspective. In that perspective, Sarah Vanhee uses various materials : she shows extracts of films dealing with the issue (Vers Nancy by Claire Denis, Theoreme by Pasolini), refers to vegetal developments (the mutual interdepedency of the orchaida and its lungus), reads scientific contributions about the immune system or shows the results of a street random video inquiry with people being asked two questions : what is a stranger? How far can you stretch your boundaries is the question Flemish performer Sarah Vanhee presents to us in her lecture about strangeness. We like to see it as a sociology or political issue but if we dig deeper, we find other aspects to complement the picture. Fragmented as it is, it still adds up to a kind of Dorian Gray portrait – you end up looking at yourself in the mirror with all your past mistakes and possible futures written on your face, block capitals.